The Women's Movie Group invites you to our fifth and final movie of the season. 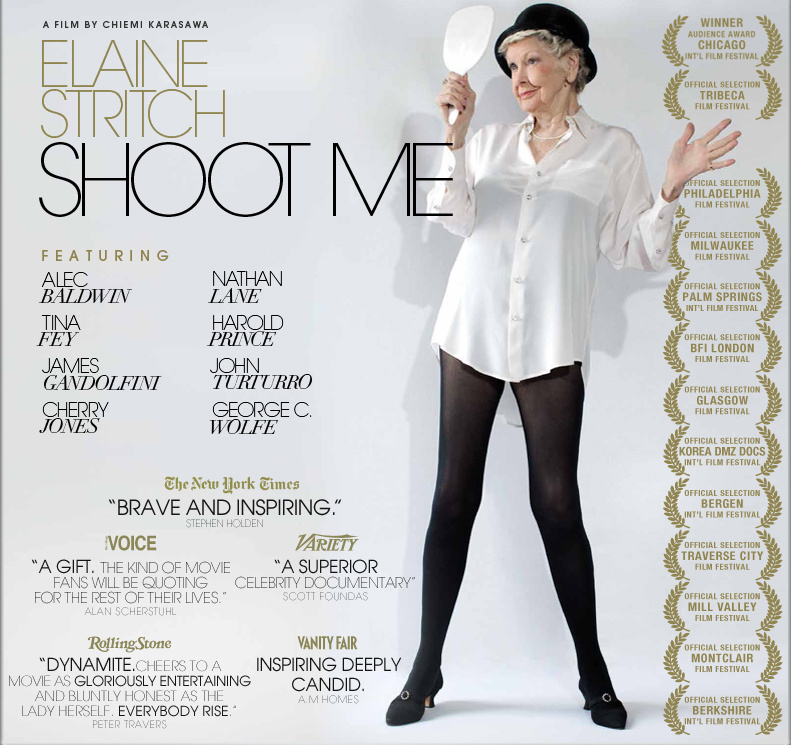 Actor and comic Elaine Stritch -- and her admirers -- will royally entertain you on Thursday, June 18. 2015 at 7:00 pm in the Party Room at 425 Main Street. 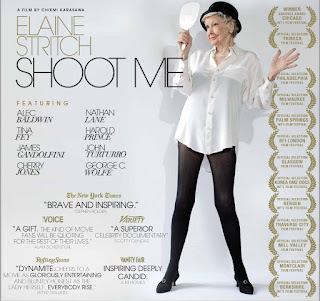 ELAINE STRITCH: SHOOT ME is a hilarious, off-beat and poignant portrait of the one-of-a-kind Broadway legend at age 87 who, as usual, wears her trademark white blouse as she grabs the spotlight. In this revealing documentary combining performances and one-on-one interviews, the uncompromising Tony and Emmy Award winner is showcased both on and off stage via rare archival footage and intimate cinéma vérité. Suggested minimum donation is $10 to cover our room rental costs. Please RSVP to riwomenmovie@gmail.com and plan to bring healthy snacks or drinks for six guests. We ask that you consider attending this film and inviting a guest who will enjoy the evening.